Herbicide for Selective Weed and Brush Control on Non-Crop Industrial Sites, Turf (Industrial, Unimproved, Commercial and Ornamental), Native Grasses, Rangeland and Pasture. Rometsol controls weeds and woody plants primarily by post-emergent activity. Although Rometsol has pre-emergence activity, best results are generally obtained when Rometsol is applied to foliage after emergence or dormancy break. Generally, for the control of annual weeds, Rometsol provides the best results when applied to young, actively growing weeds. For the control of perennial weeds, applications made at the bud/bloom stage or while the target weeds are in the fall rosette stage may provide the best results. The use rate depends upon the weed species and size at the time of application. Pro Tip: "While MSM won't kill St. Augustine grass, it may cause some temporary yellowing. A re-treatment may be needed in 4 to 6 weeks to kill stubborn weeds. Don't treat turf that is already stressed from heat or drought. Controls broadleaf weeds and hard to kill MultiFlora rose and other tough weeds. See label for full listing of weeds controlled. Labeled for Turf, Ornamental and Agriculture use! For better broadleaf control add 1 pint Weedone LV4 (24D Ester). Also safens the product on the grass. 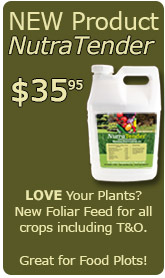 Approximate use rate: 1/10-1 ounce per acre. The label recommends using a surfactant at the rate of 1 pint per 100 gallons. We offer Alligare 90 in our Adjuvant section. Always follow labeled directions when using any pesticide. Weeds controlled or suppressed by Rometsol Herbicide, see label for specific information. Rometsol Herbicide is labeled for use on the following areas but always consult the label for specific information.